The militant group was accused of developing a plan that would "shift the battleground into Israel." 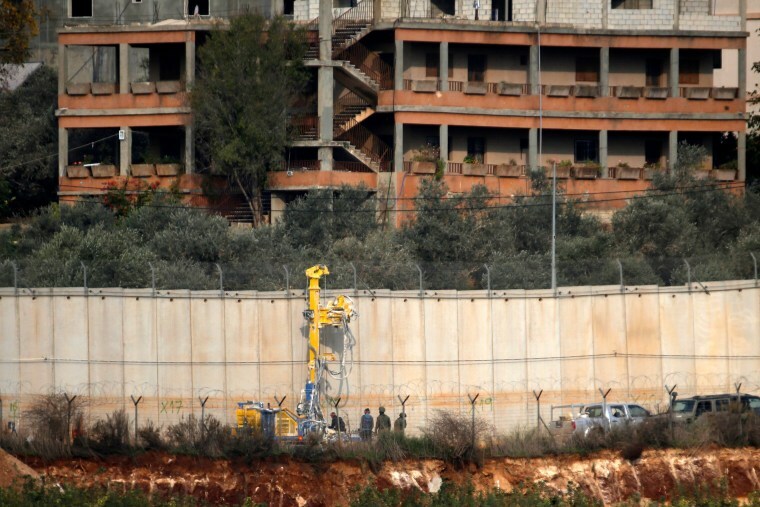 JERUSALEM — The Israeli military launched an operation on Tuesday to "expose and thwart" tunnels built by the Hezbollah militant group that it says stretch from Lebanon into northern Israel. "We see Hezbollah's activities as a flagrant and blatant violation of Israeli sovereignty," said Lt. Col Jonathan Conricus, a military spokesman. "This activity is another example of the negative effects of Iranian entrenchment in the region." The military did not disclose how many tunnels snake into Israeli territory from Lebanon, how long the operation would last nor what tools it was using to deal with the threat. It has spent years attempting to tackle a network of tunnels snaking from the Gaza Strip into Israel and has used a variety of methods to destroy tunnels and prevent them from being rebuilt. He added that Israel has investigated the possibility of underground Hezbollah tunnels since 2013 and launched a task force which has been working for the last two years to search for them. He did not explain why the operation was launched now. The Israeli operation began hours after Israeli Prime Minister Benjamin Netanyahu held a snap trip to Brussels to meet Secretary of State Mike Pompeo in which the two discussed "ways to halt together Iranian aggression in the region," including in Lebanon. Hezbollah meanwhile has also been distracted by the war in Syria, where it has fought fiercely alongside President Bashar al-Assad's troops. With Syria's civil war winding down, Hezbollah is now free to re-establish itself back home in Lebanon and refocus on Israel. Neither side appears interested quite yet in another full-fledged confrontation like the war in 2006, but any skirmish could spark an all-out conflict along the tense border.